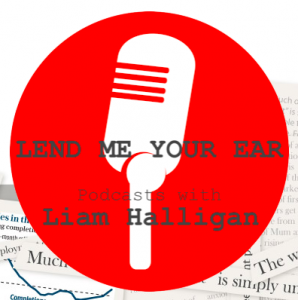 Liam Halligan’s November 2018 “Lend Me Your Ear” with Elisabeth Schimpfossl – author of the fascinating book “Rich Russians: from Oligarchs to Bourgeoise” – an eye-catching study of the new Russian business elite that’s emerged since the collapse of the Soviet Union. Showing huge determination, Schimpfössl enticed dozens of so-called oligarchs and minigarchs to discuss their personal stories, how they acquired wealth, their views on Western culture – and the future of East-West relations. “Schimpfössl’s book benefits from this long parade of interviews” says Foreign Affairs magazine, “which put a human face on her analysis”. Her analysis is one of robber barons becoming gentlemen, of a rush to be seen as refined and bourgeoise, of “the man’s world” in post-Soviet Russia, but also of “powerful, unstoppable” Russian women. This entry was posted in Articles, Media on 14/11/2018 by Elisabeth Schimpfössl.